SKU: BS003L. 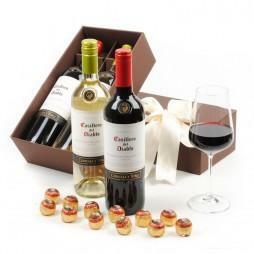 Categories: Father's Day Gift Baskets, Beer & Snacks Gift Baskets, Gift Baskets for Men. Enjoy high quality English beers with assorted chips and popcorn. Fuller’s beers have won awards all over the world and were named Champion Beer of Britain five times. From excellent crisp blonde beers to full flavoured traditional ales and rich dark porters, these beers of the finest quality will satisfy every discerning palate. 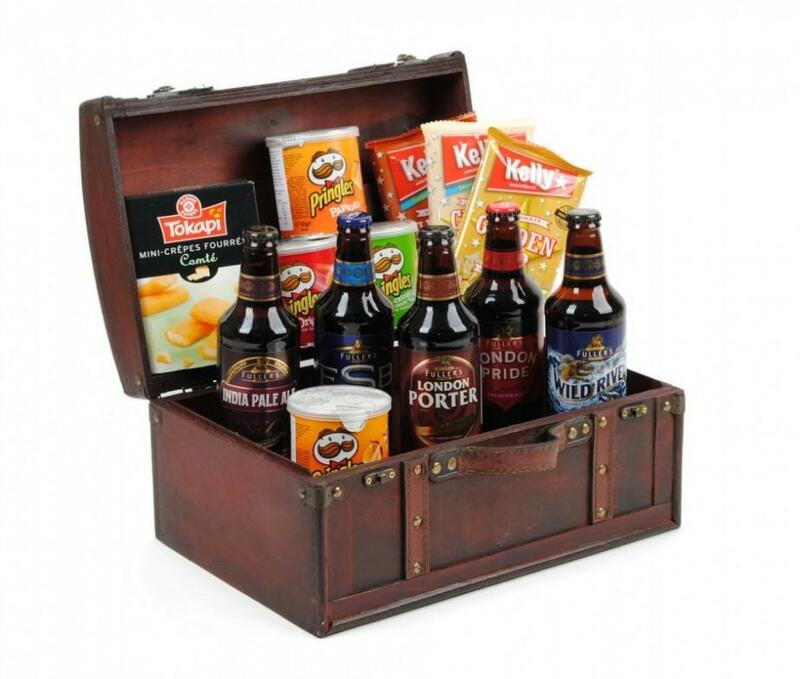 This great gift is meant for the lovers of true and traditional English beers together with fine salty snacks. 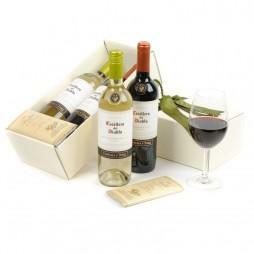 A gift for distinguished beer drinkers which will leave the recipient and company satisfied beyond doubt. 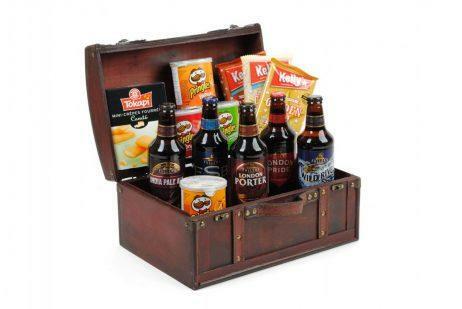 Beer and snacks are received in high quality wooden chest that can be used for storages of different kind in years to come. This is certainly a gift that will deply satisfy every beer lover. 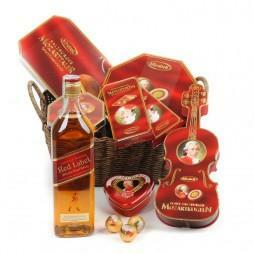 Very convenient gift for him.